Keloids are scars or bumps that rise abruptly above the rest of the skin because of the excess growth of collagen. A keloid appears when excess fibrous tissue forms to repair the injury even if the wound has already healed. Keloids will form over time as excessive collagen appears on the scars. Keloid scars are usually caused by acne, burns, chickenpox, cuts, insect bites, piercing, surgical injury, tattoos, and traumatic wounds etc. The keloid is usually irregular and may be larger than the wound itself. It may be pink or purple and has a smooth top. People with darker skin are more prone to this problem. 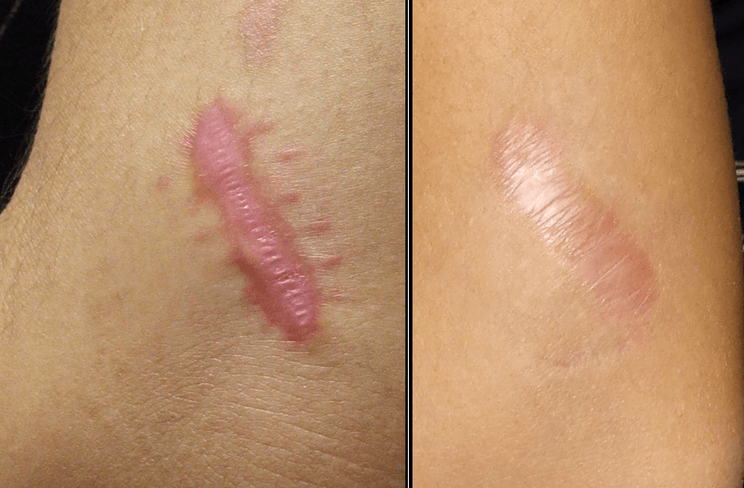 Unlike ordinary scars keloids may take several months and even years to develop. Keloids are usually not painful, but they often cause itching. Although keloids do not harm health, most people want to get rid of them because they can affect beauty. 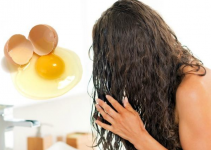 Some people would search for skin products to get rid of keloid scars but there are home remedies that can be used instead. Some natural ingredients have components that will greatly reduce the appearance of a keloid. For most common treatments such as surgery and steroid injections, keloids tend to recur. Studies have shown that antioxidant-rich ingredients such as lemon and aloe vera can help eliminate and reduce keloids. While ingredients with antibacterial and antibacterial properties can help heal the scars. Try these home remedies to get rid of keloid scars naturally. No home remedy list will be complete without apple cider vinegar. It is a useful home remedy for getting rid of keloids. ACV can kill bacteria, reduces the redness and the size of the scar. You can choose organic cider vinegar. If you use raw cider vinegar, you should dilute it with water as it can cause tingling and irritation. Apply a tablespoon of apple cider vinegar directly on the scar. 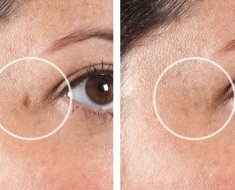 Gently massage the area so that the apple cider vinegar can be absorbed entirely by the scar. Once it is dry, repeat the process. You can do this several times a day for four weeks until the keloids reduce in size. 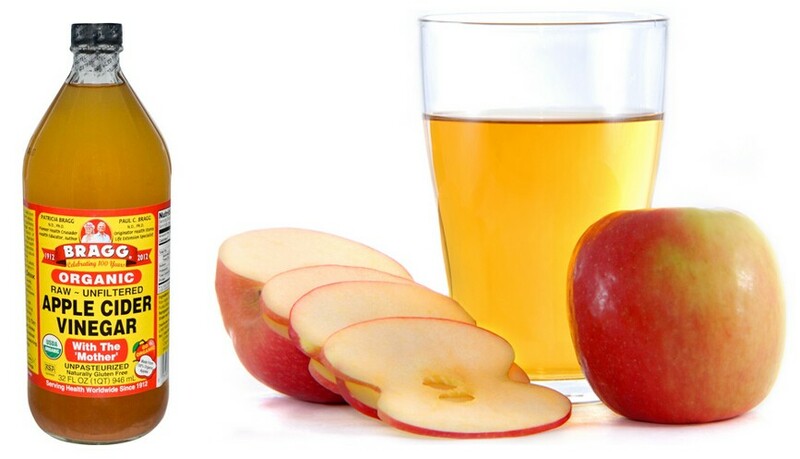 If apple cider vinegar causes skin irritation, you can dilute it with water. Aloe Vera has moisturizing, antibiotic and regenerative properties that can help reduce keloids, while protecting the skin from infections and help keloid scars heal faster. A research found that applying an aloe gel in the morning and evening can improve acne by about 35% in both children and adults. Clean the area very carefully so that you can be sure that the area is free of dirt and bacteria. Extract the gel from the aloe vera and apply Aloe Vera gel on the scars. Do this twice a day to make the healing become faster. Allow the gel to remain on top of the scars for hours. You have to make sure that you will reapply whenever necessary. Note: You’d better use aloe vera gel coming directly from the plant rather than from the commercial one. 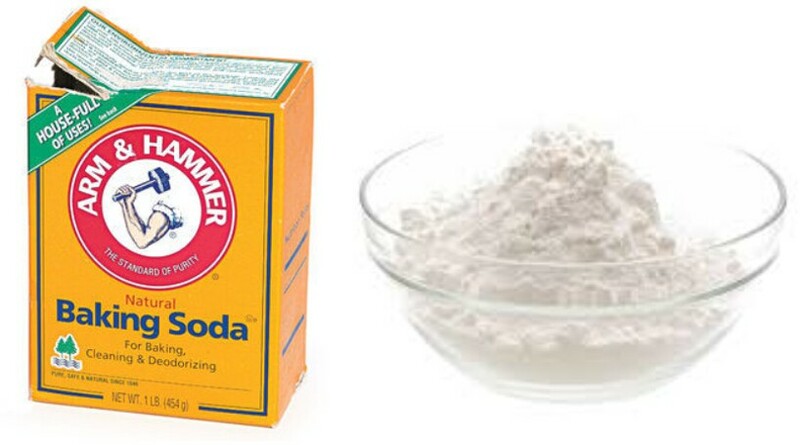 A lot of people are not aware that baking soda can also be very useful in getting rid of keloids.Baking soda has powerful abrasive and exfoliating features that can help you reduce the appearance of keloids. This ingredien can help remove the top layer of damaged skin and promotes the new cells grow. In a container,mix baking soda with hydrogen peroxide in a ratio of 1 to 3 to make a paste. Place the smooth paste on the scar area using a cotton ball to reduce inflammation and accelerate healing. Repeat this process 3 to 4 times a day for 2-3 weeks. Getting rid of keloids can be done very simply. What you need to do is to massage the area where the scar is forming. There are times when scars form because there is not enough blood circulation. When you massage the areas where the scar is, the dead skin cells can also be removed. This can prevent keloids from forming in some regions of the skin. Use coconut oil for massage. You may choose to massage the area yourself, or you can ask a professional to do it for you depending on the location of the scar. Do this often. It will not only relax you but will also help the formation of keloid to be aborted. 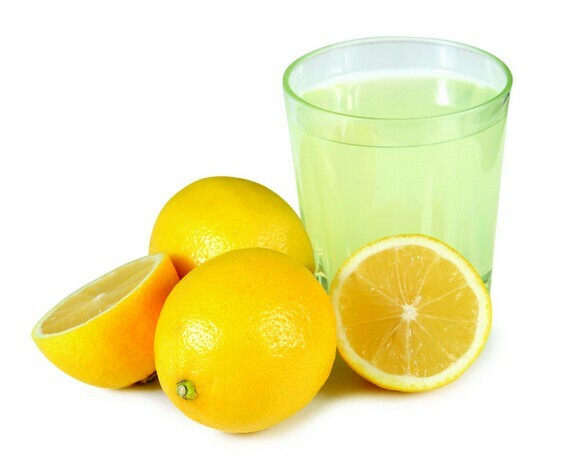 Thanks to its high content of vitamin C, lemon juice can effectively help reduce scars and keloids. Lemon also has antioxidant properties that can help prevent the appearance of the keloid. If keloids are already present, making use of lemon juice can help change its the color, texture, appearance and flexibility of the scar in a short time. Get the lemon juice from a whole lemon. Apply a little lemon juice directly to the affected area before going to bed. Leave it on for 20-30 minutes and rinse well with lukewarm water. Repeat the process every night for good results. Honey tastes good and is very natural. You can also use honey as a natural treatment to get rid of keloids. This is because Honey has some anti-inflammatory compounds that can help heal and moisturize the skin. It can also lessen the appearance of keloids. Apply honey directly to the affected area. Massage the area gently to remove dead cells and improve blood circulation. Do this about 2 – 3 times a day until you have achieved the desired results. Whenever you think about aspirin, you probably think that this is something that you need to get rid of headaches or other problems with your body but aside from that, you can also use aspirin to help get rid of keloids. A 2015 study found that Aspirin contains salicylic acids, a powerful anti-inflammatory drug used to treat many skin conditions. 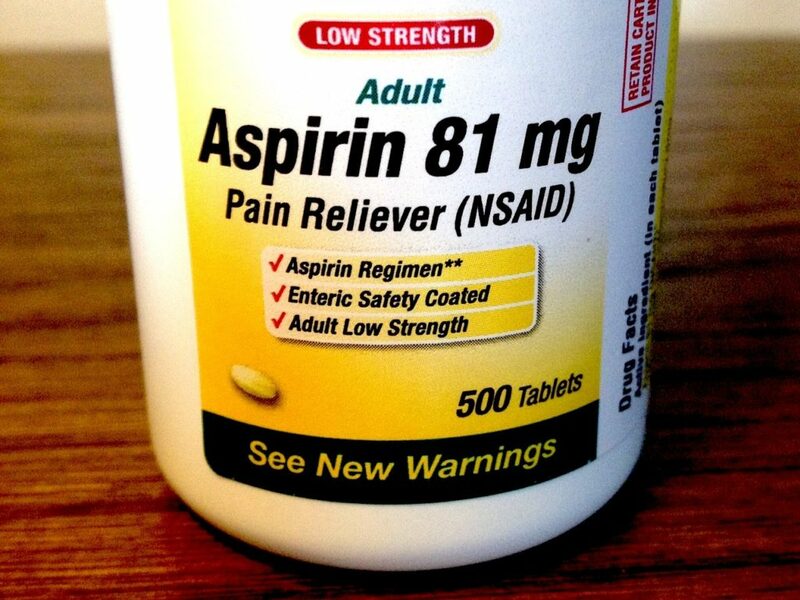 Aspirin also can prevent scar-promoting cells from entering the keloid site. So it can effectively reduce the size of the keloids when used diligently. Using three or four aspirin tablets, grind them to make aspirin powder. Add a few tablespoons of water to form a paste. Pat the area dry and apply some tea tree oil. Place the aspirin powder and allow it to dry on top of the keloid. Do this every day until you reach desired results. A lot of people are not aware that there are a lot of essential oils that can be good for the skin and body. Lavender oil is one of them. The main reason why it is very useful in getting rid of keloids is that it has skin regenerating properties. This means that it can reduce the size and the appearance of keloids when used over time. Place a few drops of lavender oil on top of the keloid. Massage gently on the keloid to allow the oil to be absorbed well. You can repeat this about thrice a day. 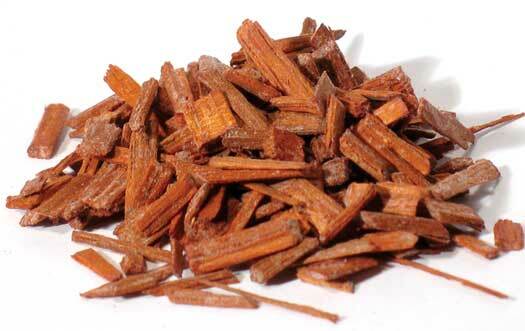 Sandalwood has regenerative properties that help reduce scarring and keloids. It has toning agents that can cleanse the skin from the inside. Rose water has toning properties that help maintain texture and firmness. Sandalwood mixed with rose water can be an excellent natural remedy to fight against keloids. Get sandalwood powder and mix it with rose water to form a paste. Clean the keloids well and and place the paste on the scar before going to sleep. Make sure that the powder and rose water will dry naturally on top of the scar. Rinse the area with lukewarm water in the next morning. Do this every day for 1-2 months. Garlic prevents the proliferation of excessive fibroblasts, which are the main reasons why ugly keloids take place. A 2011 study found that garlic and onion extract can stop the abnormal growth of fibroblasts that is known to cause keloids scars. Crush a raw garlic clove and place it on the scar. Wash the area thoroughly with lukewarm water. You can also mix olive oil with garlic to mask the strong smell. A lot of people experience getting keloids on the ear because of ear piercings. Some women and men get pierced ears on various portions of the ear. The keloids that form in the ear area may appear pink or red. The keloid scars can be itchy and irritating. Some people also experience some pain. If you are also feeling discomfort due to the ear keloids, the best remedy is tea tree oil. Tea tree oil is most effective on keloids that have formed in your ear as it can help get rid of the abnormal cells that have grown on the skin. 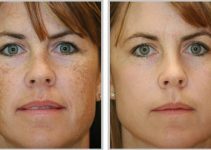 This can also get rid of the redness and inflammation of the surrounding area of your skin. Dry the area and apply a few drops of tea tree oil. Do this twice a day in order to get rid of the keloids effectively. Take note that tea tree oil is most effective on keloids that have just formed on the ear. If you are going to use it on a keloid that has formed for a long time, it will take time before you start seeing its effect. You can dilute this with olive oil if you want to improve its smell. Keloids on your nose may have appeared because of a nose piercing. Before piercing any part of your body, remember that if you are prone to keloids, you will most likely get it when you undergo any type of piecing. Aspirin may be the best option that you can use to get rid of the keloids on your nose. This is because of its salicylic content that is known to be used for various skin conditions. Crush aspirin tablets depending on the size of the keloid on your nose. Apply the paste to the nose. Allow the paste to soak the keloid for about 15 minutes. Apply olive oil on the keloid. Do this twice every day for the best results. If you want tea tree oil, which is normally used on the ear, to become effective for your nose, you can add Vitamin E to it. Apply the mixture directly on the keloid. You can do this twice a day until the keloid starts to shrink in size. If you notice that your keloid is oozing pus, this is a sign that you need to see your doctor immediately because your keloid has already gotten infected. Do not change the earrings until you are sure that your piercing has completely healed. You may need to clean your piercings with salt solution three times every day to lessen the possibility of infection. If there is pus coming from the keloid, contact your doctor immediately. Some people get keloids on the chest for various reasons but probably the most common is surgery, acne or injury. The keloids on the chest area may differ from one person to another. They can sting and become painful when they are irritated all the time. The best option to get rid of the keloids on your chest area is by using red onion juice. This can help you make the keloids lighter so that they will not be as visible as before. At the same time, this will help prevent the formation of collagen. Mash a red onion. The size will depend on the size of the keloid. Collect the juice of the onion. Mix the onion juice with Vitamin E oil. Make sure that the area is clean before applying the onion juice with Vitamin E.
Do this 3 times a day to get the best results. The keloids on the scalp usually have a smooth outer appearance and are usually colored brown. Some have pink-colored steroids. You can use any of the treatments for keloids mentioned above as they will work well in improving your scalp’s condition. Take note that there is no guarantee that any of the treatments that are mentioned here will be 100% effective. Some of these home remedies may not work for people with sensitive skin and they may end up getting skin irritation in the process. Also, a keloid that has been treated is not guaranteed to not reappear. The treatment of keloids will take a long time so you can be patient and be diligent in using the home remedy that is most effective for you. Essential oils can help calm down your skin. You will lessen the itch and irritation brought about by the keloid formation on the torso. You can mix different types of essential oils. Even one drop each will be sufficient. Apply generously on the keloids. Do this once a day to make the keloids go away faster. The right essential oils can help improve blood circulation and reduce the appearance of keloids on the skin. Wash your hands before removing the jewelry from your piercing. Avoid cosmetic procedures which may cause keloids. Try to prevent tattoos and piercings which may cause keloids. Try to avoid acne or pimples on your skin which may lead to keloids. I have six keloids and they resulted from chickenpox i’ve undergone various surgeries bt they reapear i think i’ll have to use this and see if there will be a difference. Do you see a slight difference? I have 2 keloids. Hi, i got my nose pierced in late August. I have tried almost everything. Everytime it is almost gone it reappears once the scab sheds off. Its red a looks like it has white liquid inside. It resembles a pimple but multiple people have told me not to pop it. What advice could you give me? You’d better choose a good hospital for a comprehensive examination. is this more effective than steroid shot to rid of keloid? Hey i have a keloid on my belly percing what do you suggest ill do? ?